Our lives are a team effort, often influenced by larger social forces outside of our control. At the same time, we love stories about singular heroes rising to the occasion. Sociologists often argue that focusing too much on individual merit teaches us not to see the rest of the social world at play. It isn’t just the computer doing this; there is a whole genre of youtube videos devoted to top plays and personalized highlight reels from games like Overwatch, Paladins, and Counter Strike: Global Offensive. Paul’s point got me thinking about the structure and culture of replays in general. They aren’t always about a star player. Sometimes we see the execution of a brilliant team play. Other times, it’s all about the star’s slam dunk. 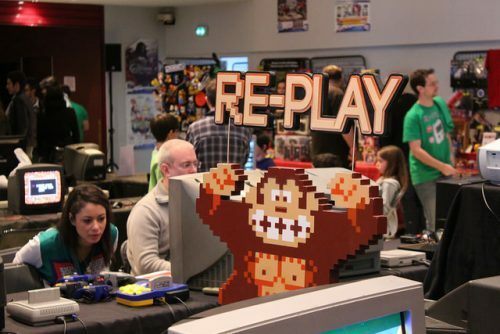 But replays do highlight one of the weird structural features about modern competition. Many of the most popular video games in the massive esports industry are team based, but because these are often played in a first-person or limited third person view, replays and highlight reels from these games are often cast from the perspective of a single “star” player. This is a great exercise for thinking sociologically in everyday life and in the classroom. Watch some replays from your favorite team sport. Are the highlights emphasizing teamwork or are they focusing on a single player’s achievements? Do you think different replays would have been possible without the efforts of the rest of the team? How does the structure of the shot—the composition and perspective—shape the viewer’s interpretation of what happened on the field?